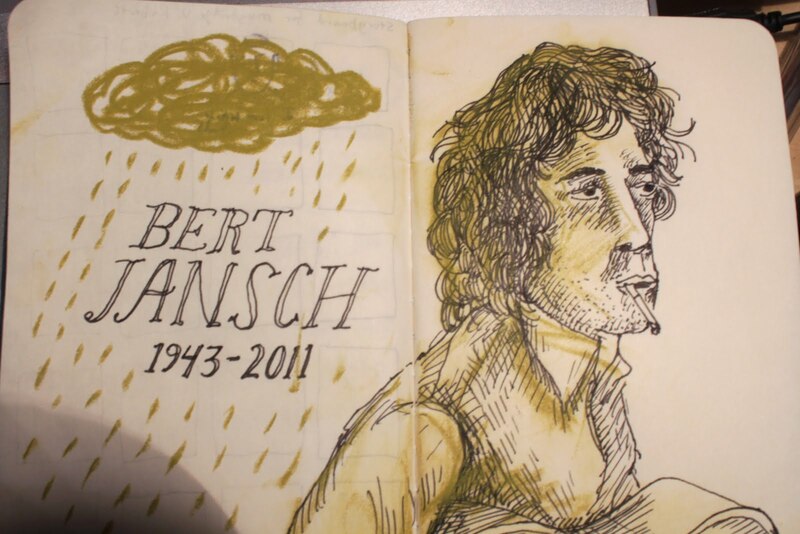 Tonight we must say goodbye to Bert Jansch, the man who got me interested in British Isle folk. I just played Blackwaterside on the guitar in his honor. Probably the best guitarist I have ever heard on record. Highly recommend LA Turnaround. Produced by Michael Nesmith with great pedal steel by him. Sad day indeed. Came across this post when doing an image search for Bert Jansch. Great illustrations. My blog, which I don't maintain much anymore, has a few posts about Bert. 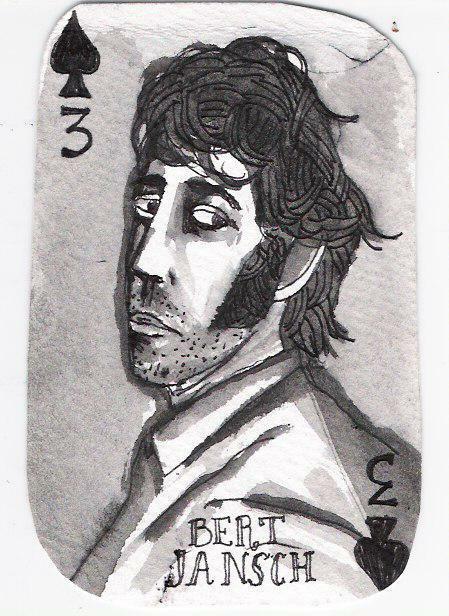 Check 'em if you like- I don't have much to self-promote, I was just thinking you might be interested as a fellow fan!